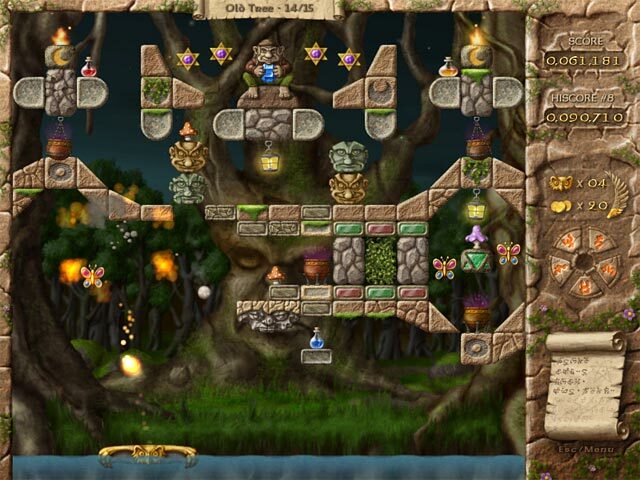 Gather parts of a magic scroll to find hidden treasures, solve puzzles to unlock secret areas and collect keys to unleash the might chain ball. 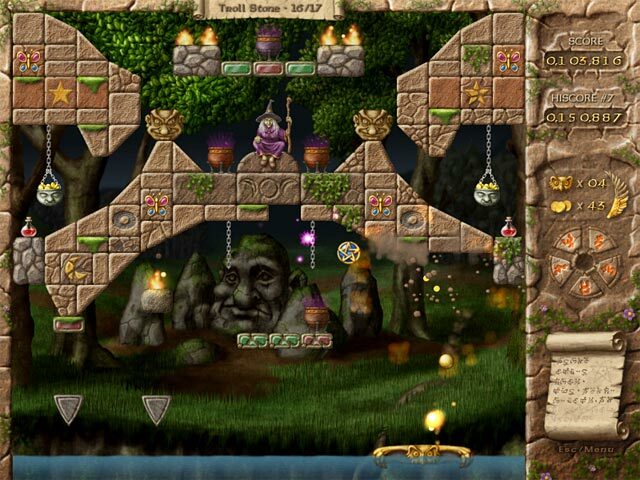 This brick buster will send you on an adventure to find the Fairy Treasure, which has been stolen by an evil and greedy troll. May the fairies be with you on your quest for the Fairy Treasure! Fairy Treasure is rated 4.5 out of 5 by 18. Rated 5 out of 5 by Pegaleg01 from My Favorite I love this game! I am not much of a gamer mostly word games but this one I am addicted to, I wish there were more like it. I am in my 50's and when I want to relax and have "my time" I am able to sit for hours and play this. Rated 5 out of 5 by rainbowspromise2 from Lots of replay value and a brick breaking game with a story line that is cute There are 3 difficulty levels so you can listen to the relaxing music and take it easy, or the highest level and go insane. I liked the power ups, explosions and layout of the game. My one complaint is; the fairies tend to distract and made me want to hit them. You can't of course because you are supposed to be helping them. I liked that you could replay any level and not lose progress in the story. The graphics are castle style with some interesting layouts. Definitely worth having bought it. Rated 5 out of 5 by betskand62 from Beautiful Arkanoid-style game I'm not that interested in brick-buster games, but this one is so beautiful and clever that I have been playing non-stop. The items to hit are many and varied and have wonderful powers. Even the sound effects are perfect. (I don't like music with my games, so I haven't tried it with the music.) When you lose a ball or an item, it drops into the lake below with the most beautiful "sploosh" that I almost want to miss on purpose. And there are fairies to unlock who give you a little help if you only have one block left, so that you don't spent 10 minutes trying to hit it. Give this a try even if you aren't interested in block-busters. Rated 5 out of 5 by _HKG from Fun, Pretty Graphics, Nice Music, Relaxing Game If anyone had told me I would like a "brick shooter" I would have laughed in disbelief, but I *love* this game. The graphics are charming, the music is pleasant, and the game is relaxing. I like the easy mode. I think the reason it is relaxing is that it does not rely on quick reflexes. You can chill out, operate on automatic, and just use your right brain. Very soothing. I really do like the music, the sounds and the graphics, too. Rated 5 out of 5 by Majeritt from Loved it! I've played this game once, many years ago and was sold after 15 minutes I just had to own this game. Rated 5 out of 5 by splash1234 from This game is a unique little treasure! I love the theme of fairies and mystic. 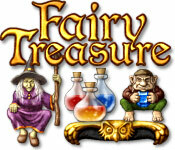 Its fun and magical with all the jewels and trinkets, treasures, charms and coins. All kinds of good powerups. All the sounds for the different things you break is fascinating. The music is nice. You should try this game. It is pleasant and colorful. Rated 5 out of 5 by colorsplash from the best brick buster ever This is the best brick busting game ever created...I have played it over and over and will continue to do so!! I have downloaded this game on every computer I have owned since it came out. It doesnt have a million bells and whistles it just has enough to be challenging!!! Rated 5 out of 5 by EnvirEng from As Breakout Games Go, This is a Great One Look, we all need a little mindless entertainment, once in a while. This is it. A very well done breakout-style game. Witches and goblins populate the forest and you need to destroy them with little balls. What makes this different from most of these kinds of games is the great graphics and the interesting power ups. Sure, you have your strong ball and multiball, etc. But, there are a few that are interesting. Explosive ball and crazy ball come to mind. (I do not like crazy ball.) There are lots of different types of blocks to break. Witches that launch little light thingys that can make your ball 'weak' or replace destoryed blocks. You can collect falling scrolls and, when you collect enough, play a bonus level for more points/ lives. You can catch medalions and when you get enough you get an explosive charge on a chain you can use several times. 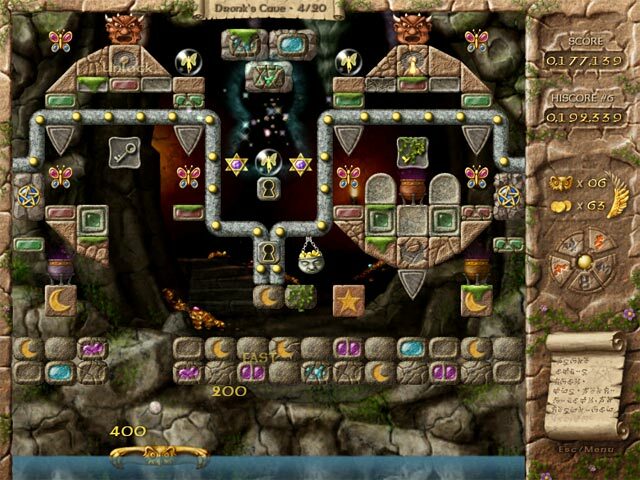 One of the best features is the fairies that appear as you get close to finishing a level. They will help by destroying some of the last few blocks. Nice! The graphics are great. The music is fine. Lots of levels. Three modes of play #easy, normal, hard#. Replayability is high. It is a great game. If you don't have your fill of breakout games, you should get this one. May the fairies be with you as your quest for the Fairy Treasure begins in this exciting brick buster!